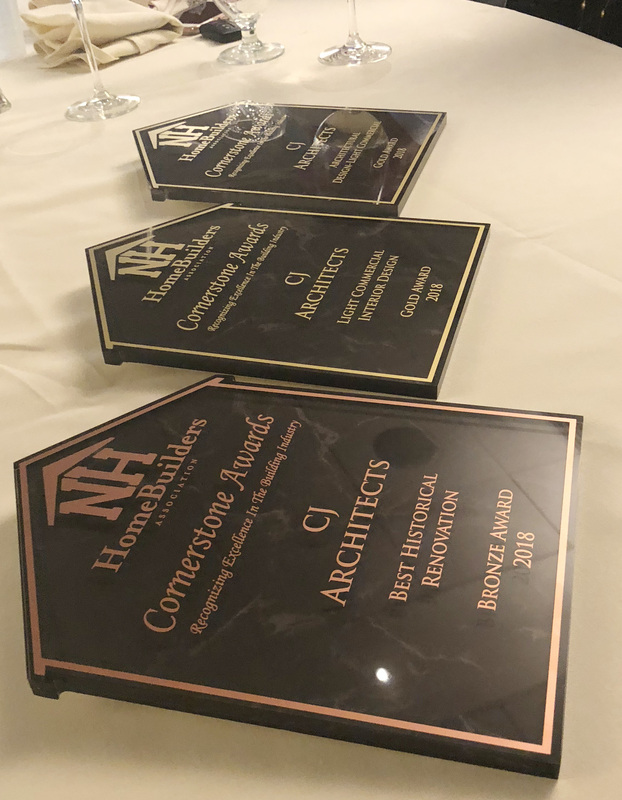 PORTSMOUTH — CJ Architects received two Gold and one Bronze Cornerstone Awards from the Homebuilder’s Association at this year’s awards banquet. 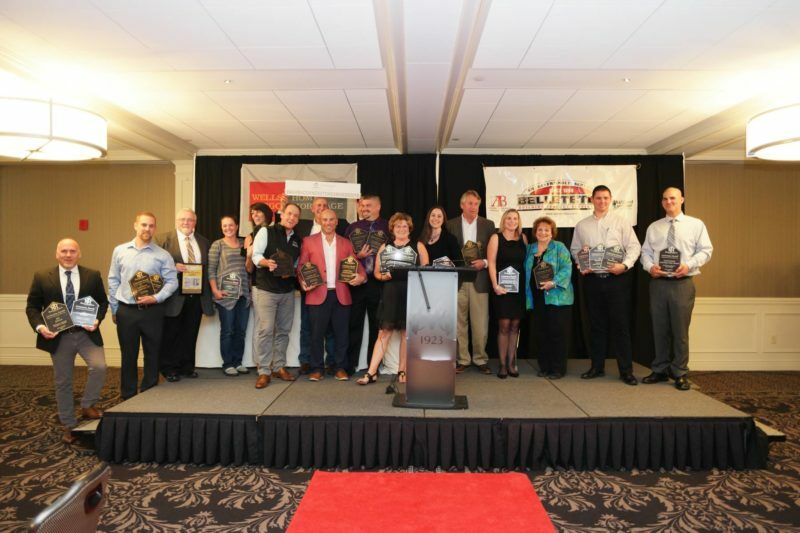 The gold awards were in recognition of design excellence for the renovation and interior design of a financial advisor’s office suite in Newington. The client’s spatial design goal was to incorporate secure areas within a collaborative work environment. The upscale kitchen became a focal point showcasing high-end built in features, quartz counters and dish drawers. The adjacent roof deck, with direct access from the common areas, hosts an array of planters and screening to block views of mechanical equipment. Geothermal heating and ductwork integrated into the ceiling keep the project environmentally friendly, while gaining valuable floor space. The bronze award was for the renovation of the 1916 Army & Navy Building at 143 Daniel St. According to the city’s 2013 Historical Report, “The Army & Navy Association has been a key building in the eastern part of downtown Portsmouth for nearly a century.” The building has served as a short-term lodging destination for members of the U.S. military and, most recently, as a recreational facility. Renovations included brick renewal and the fabrication of keystones from granite discovered on-site. Restoration of the existing windows, front entry doors and vestibule reflect the original historic architecture, and the custom iron fencing was modeled after historic details. CJ Architects, a regional firm licensed to work in Maine, New Hampshire and Massachusetts, is headquartered in Portsmouth. In addition to its work on the Frank Jones Warehouse, other Portsmouth projects include mixed residential/commercial design at 233 Vaughan St., North End Portsmouth, and the restoration of Pepperrell Cove in Kittery Point, Maine.